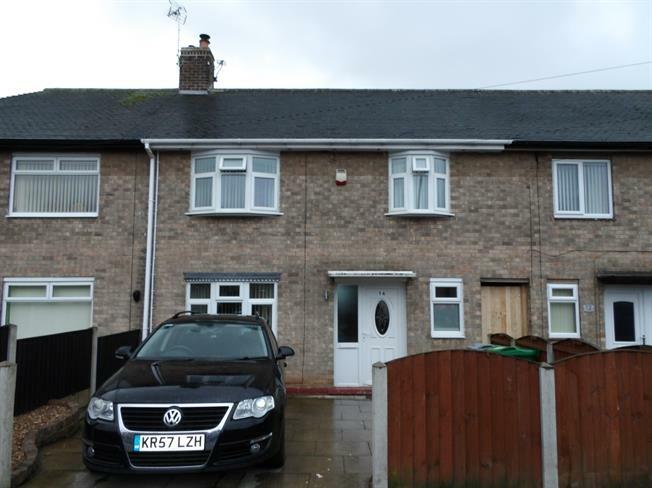 3 Bedroom Terraced House For Sale in Nottingham for Asking Price £140,000. Three bedrooms EXTENDED brick built middle terraced house which needs to be viewed to be appreciated. The property has one of the best energy ratings in Clifton. The accommodation comprises entrance hall, lounge with log burner, dining room, fitted kitchen, toilet, stairs to landing, three double bedrooms, extended bathroom. To the front there is a driveway, enclosed rear gardens with outbuildings. VIEWING IS A MUST!!! . UPVC front double glazed door. Radiator, tiled flooring, stairs to landng. Double glazed uPVC window with obscure glass facing the front. Radiator. Low level WC. Double glazed uPVC bow window facing the front. Radiator and wood burner, carpeted flooring. UPVC French double glazed door. Double glazed uPVC window facing the side. Radiator, tiled flooring. UPVC back double glazed door. Double glazed uPVC window facing the rear. Radiator, tiled flooring, under stair storage, part tiled walls. Roll edge work surface, wall, base and drawer units, one and a half bowl sink, electric oven, gas hob, over hob extractor. Carpeted flooring, pull down ladder leading to a huge loft space which is boarded and has lighting. Double bedroom; double glazed uPVC window facing the front. Radiator, laminate flooring, sliding door wardrobe. Double glazed uPVC window with obscure glass facing the rear. Heated towel rail, part tiled walls. Low level WC, panelled bath with mixer tap, walk-in shower, vanity unit with mixer tap. To the front there is off road parking. Enclosed rear gardens comprising a lawn, beds, borders, outbuilding providing a utility room with plumbing for a washing machine. There is a useful outbuilding which in summer the current vendor users as a bar area.